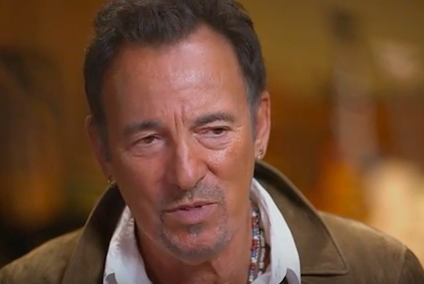 Bruce Springsteen talks to 'CBS This Morning' about the highs and lows of his life and career. Yes, you read the headline right: New Jersey’s own Rust Belt Rock Legend Bruce Springsteen once wrote a song for a Harry Potter movie, and soon you’ll be able to hear it. The song, called “I’ll Stand by You Always”, will debut during the credits of the upcoming feature-length film “Blinded by the Light”, a movie inspired by a book about a Pakistani immigrant’s love for Springsteen. Springsteen said in 2016 that he decided to write the song around the turn of the century for his son, Evan. He described it as an “uncharacteristic” song for him, but hey, Springsteen is Springsteen. According to The Wrap, Springsteen originally offered the song to Christopher Columbus, who was directing “Harry Potter and the Sorcerer’s Stone”, but the movie reportedly wasn’t allowed to include commercial songs in its soundtrack. A demo recording of “I’ll Stand by You Always” was reportedly filed with the Library of Congress by Springsteen, but this will be the first official release of the song. "Blinded by the Light" hits theaters Aug. 14.